Gone are the years of slide presentations and overhead projectors. The projectors of today can offer interactive capabilities, wireless connectivity, HD images, and can even display clear images in a room with lots of light. There are even projectors on the market that can split the screen into quadrants and project several images at the same time. 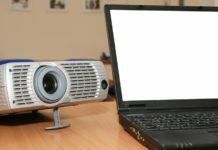 In a nutshell, a projector can be described as an inverted camera that produces output by splitting out of a lens rather than receiving it, working similarly to a computer screen or a TV. It is an optical tool that projects an image onto a surface, most commonly a screen (>>> Learn about screens colors differences). A projector can be carried around easily and is capable of displaying larger image sizes. Look, it doesn´t matter if your projector doesn’t boast of wireless connectivity and needs to be connected to a laptop. However, what if your laptop doesn´t have a VGA port? How do you connect the projector to the laptop then? In most cases, laptops these days come with either VGA or HDMI ports. 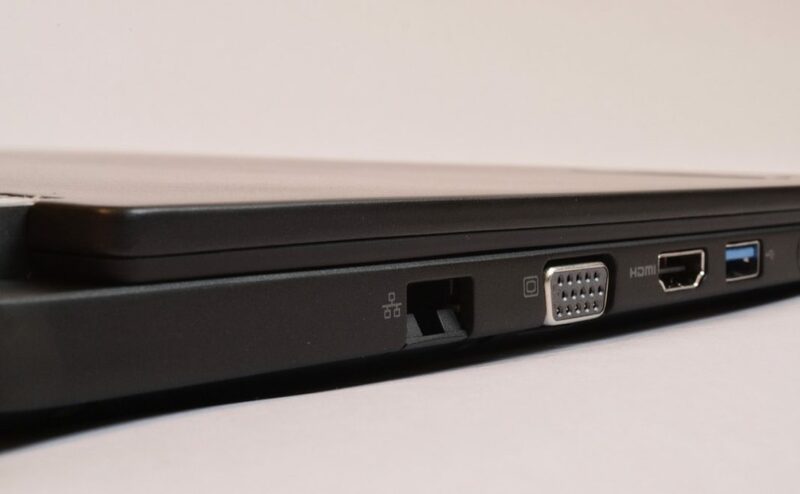 If your laptop doesn´t have a VGA port, you can still connect it to the projector using HDMI port, with a standard HDMI cable. Thankfully, there are converters that can help you too. 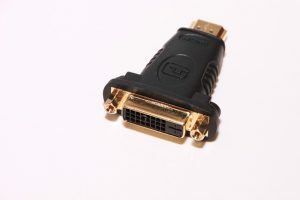 For instance, if your laptop and projector don´t have the same type of ports, you can easily use converters such as VGA to HDMI, HDMI to VGA, USB to VGA, USB to HDMI etc., to connect the both. There are many different models of projectors available for purchase on the market. However, today, let´s specifically discuss how to connect a projector to a laptop that doesn´t have a VGA port. We will assume that the projector is a VGA projector. Without beating about the bush any further, here´s how to connect a projector to a laptop that doesn´t have a VGA port. Firstly, you should ensure that your laptop is turned off. After that, you should connect the video cable from your laptop´s external video port to the projector. Since your laptop doesn’t have a VGA port, you should acquire a HDMI to VGA adapter. The HDMI to VGA adapter enables you to link the HDMI output from your computer/laptop onto the VGA projector. HDMI to VGA adapters are well capable of providing support for resolutions up to 1080p (1920×1080). They are compact and they offer a fantastic, portable solution for linking a HD VGA display. And, in most cases, HDMI to VGA adapters do not need an external power source. Previous articleHow To Clean A Projector Screen? Next articleHow To Hang A Projector Screen From Ceiling? What is Contrast Ratio in a Projector?